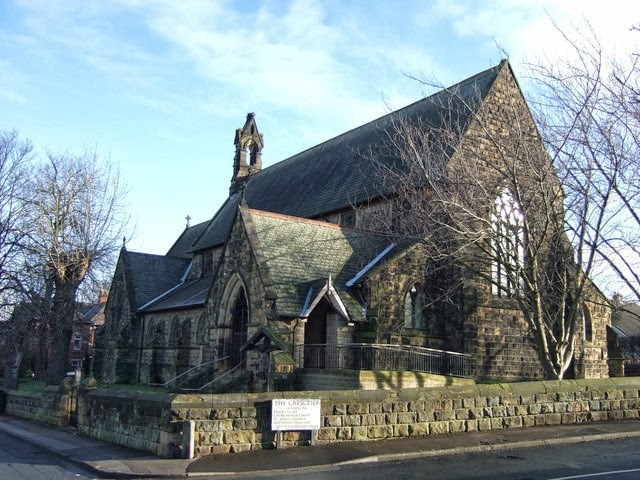 This church was built by architects Richard Life Adams and John Kelly of Leeds between 1873-90. It was consecrated in 1878, by which time the reredos was also completed. The Caen stone reredos was carved by Leeds sculptor Canova Throp. 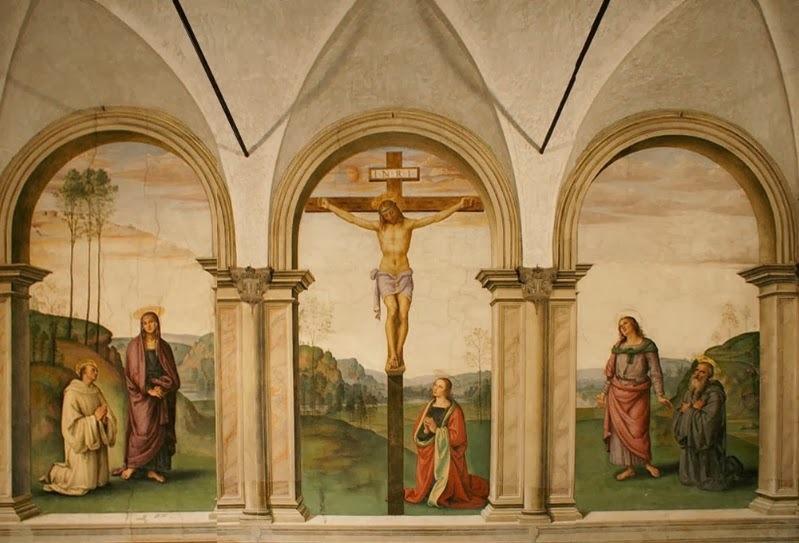 The mosaic embellishment was made by Salviati after Pietro Perugino's 15th century fresco in Florence's cloister of Santa Maria Maddalena dei Pazzi. Perugino's "Crucifixion" depicts two additional figures: St. Bernard on the left in white and St. Benedict on the right in blue. Salviati's interpretation for the mosaic reredos. The Virgin Mary is on the left panel. Mary Magdalene is seen praying at Christ's feet. St. John the Baptist is on the right. Treasures Revealed in Wakefield 2010. 18. Pevsner, Nikolaus. Yorkshire: The West Riding. New Haven: Yale University Press, 2001. 80. "New Church of St. Mary Magdalene." The British Architect: A Journal of Architecture. Vol. 10. Nov 1878. 185.